Born in 1964 in Ville Saint-Laurent, a Montreal borough, Robert Blake grew up nurtured by stories told by a giant, living doll by the name of Franfreluche. In his early 20s, Blake composed a tale titled The Little Apple, an act which would prove pivotal in his life. It was in fact this short story that made Blake realize, to his great astonishment, that people were touched by his words. What followed were another 20 years of writing texts, fables, legends, and poems he’d give to the people he would come across along his path. In 2004, with a bachelor’s degree in economics, a master’s degree in business administration, and nearly 10 years of experience as an entrepreneur in the multimedia industry, Robert Blake founded, The 9th day publishing/Les éditions du 9e jour inc. and has devoted his full energies to this literary adventure ever since. His first two philosophical tales, Le Voyage and Kaya surpassed the milestone of 40,000 copies sold in Quebec, Canada. His two illustrated books, Jack and Koukie (French version) and Le bleu de l’espoir, are also bestsellers in their category. In all, Blake has sold over 50,000 copies of his books. In the fall 2010, Blake launched a second, revised and improved, version of his first book, Le Voyage. In 2011, he proceeded with the publication of the English version of Le Voyage, titled Paola’s Journey. In 2012, together with illustrator, Marie-Lyne DeSève, Mr. Blake launched a second illustrated book, Jack et Koukie available in French and English. In November 2015, Mr. Blake launched a third philosophical tale, Samuel. A model of perseverance, Robert Blake takes advantage of his meet-the-author visits in schools to encourage young people to follow the path of their dreams. His own dream: to sell enough books in Quebec and throughout the world to start a foundation and finance projects to help youth. It is this dream that has driven him, for over nine years, at the rate of five or six days per week, to go from one bookstore to the next with his small table and stool to introduce his books to people. Backed by laudatory press reviews and high praise from the general public, his enthusiasm is nourished by often moving encounters with the public. — ability to touch the hearts of all ages from 8 to 101 years. — reputation for having a positive influence on people. Countless are the adults who, in suffering with depression or going through major life challenges, have found comfort, and sometimes even answers to their existential questions, in the pages of Mr. Blake’s stories. — power to encourage reading among people who, young or old, do not normally like to read or read very little. — being repeatedly compared to the works of Paulo Coelho and, even more so, to Antoine de Saint-Exupéry’s The Little Prince. 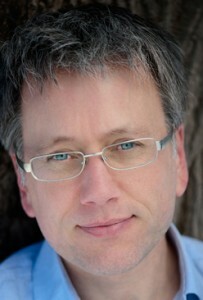 Mr. Blake is a member of the Quebec writers’ union (UNEQ).